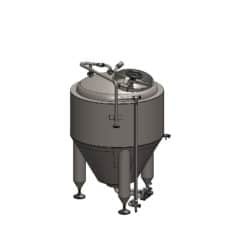 ACOS02-DN1040TC is also used as an optional accessory of the CCT-M cylindrical-conical tank system – position MTS-CC1 in the scheme of the tank. 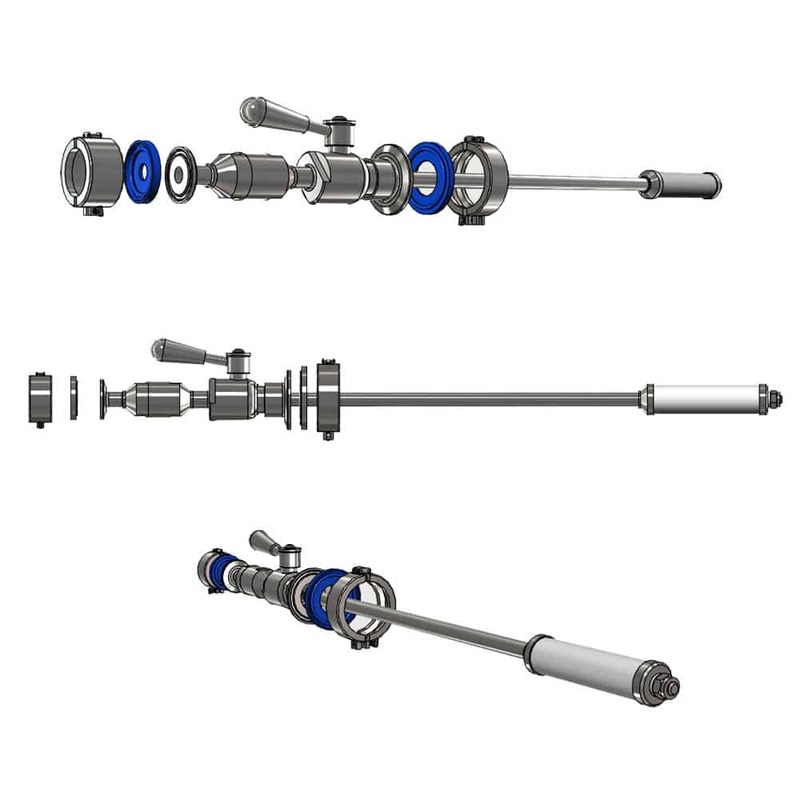 Pipe ⌀12mm DN 10 / NW 10 with drilled holes inside the stone with screw and nut for fixing the stone on the pipe. Throat DIN 32676 “Tri Clamp” ⌀50.5mm or DIN 11851 “DairyCouping” with inner diameter DN 32 or DN 40 welded on the tank side of the ball valve. 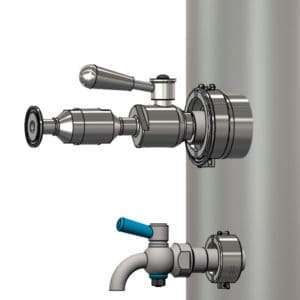 Throat DIN 32676 “Tri Clamp” ⌀34mm DN 10 / NW 10 welded on the out side of the one way valve – for connection of the hose from the gas source. May be replaced with G-threat. 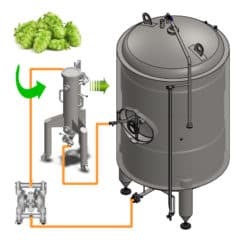 Fully equipped set for the cold extraction of hop in 2000-liters of beer and optionally also final carbonization of beer before filling of finalized beer into bottles, kegs, petainers etc. 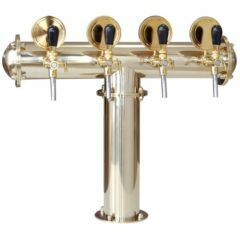 Make your own strongly bitter beer Pale Ale, India Pale Ale, prepared by original traditional recipes, using the professional equipment made in the CZECH BREWERY SYSTEM ! 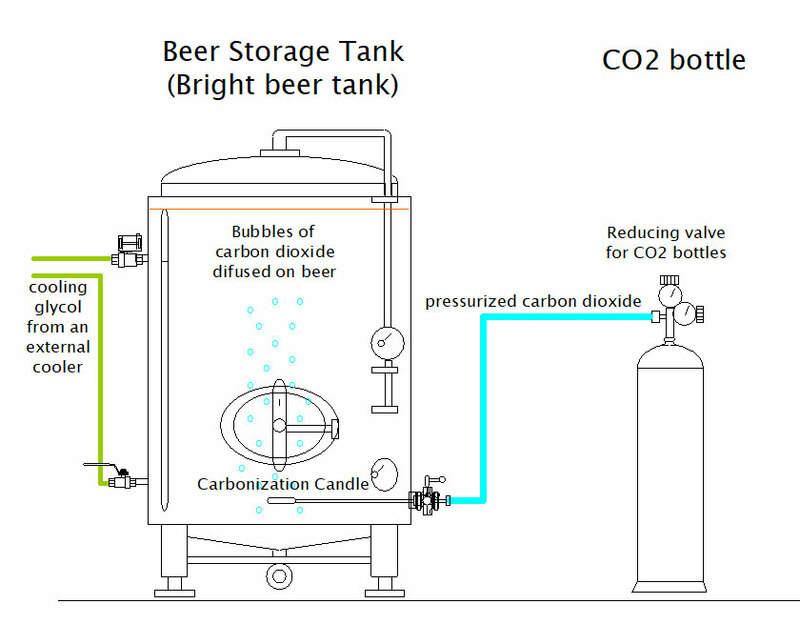 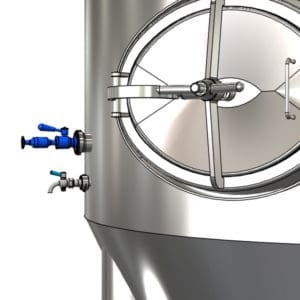 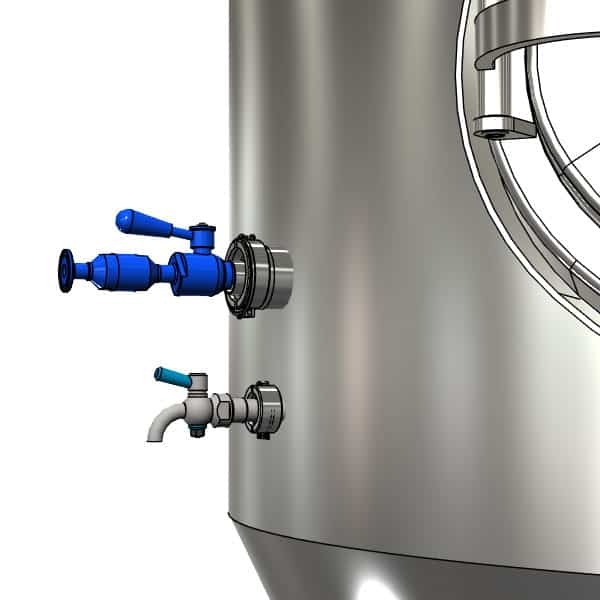 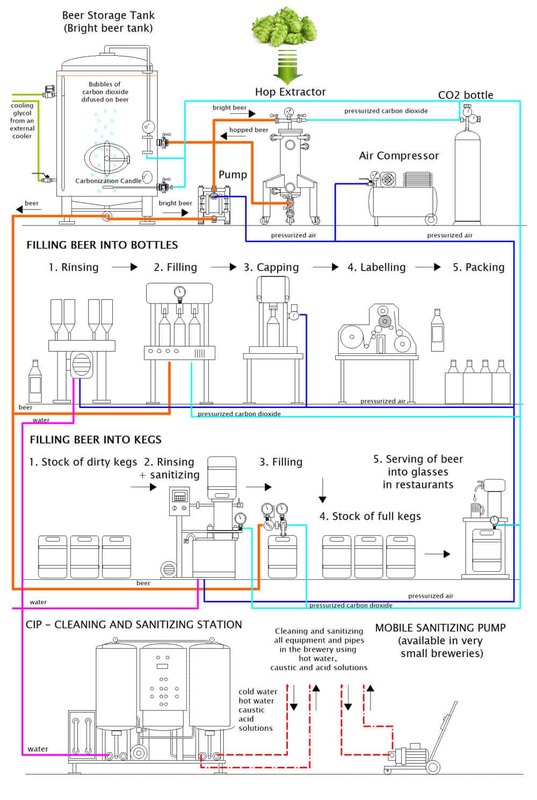 Fully equipped set for the cold extraction of hop in 1000-liters of beer and optionally also final carbonization of beer before filling of finalized beer into bottles, kegs, petainers etc. 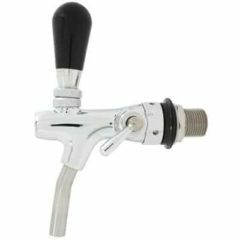 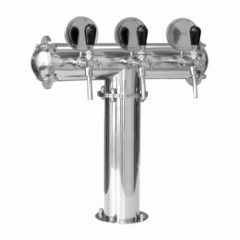 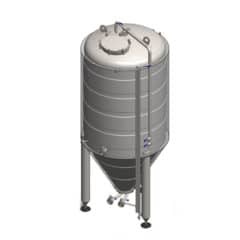 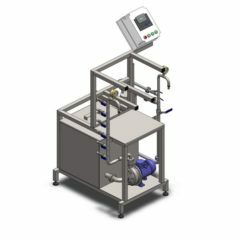 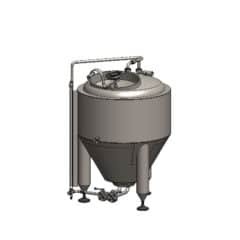 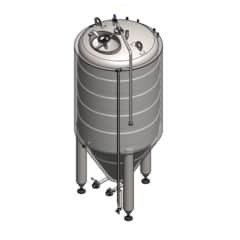 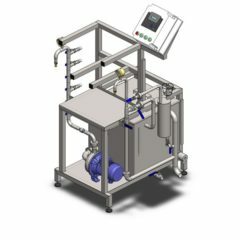 Fully equipped set for the cold extraction of hop in 500-liters of beer and optionally also final carbonization of beer before filling of finalized beer into bottles, kegs, petainers etc.